Supporting local councils and their communities in the advancement of Australia as a welcoming, prosperous and cohesive nation. The Standard applies to all local councils in Australia. This includes cities, shires, towns, or municipalities. 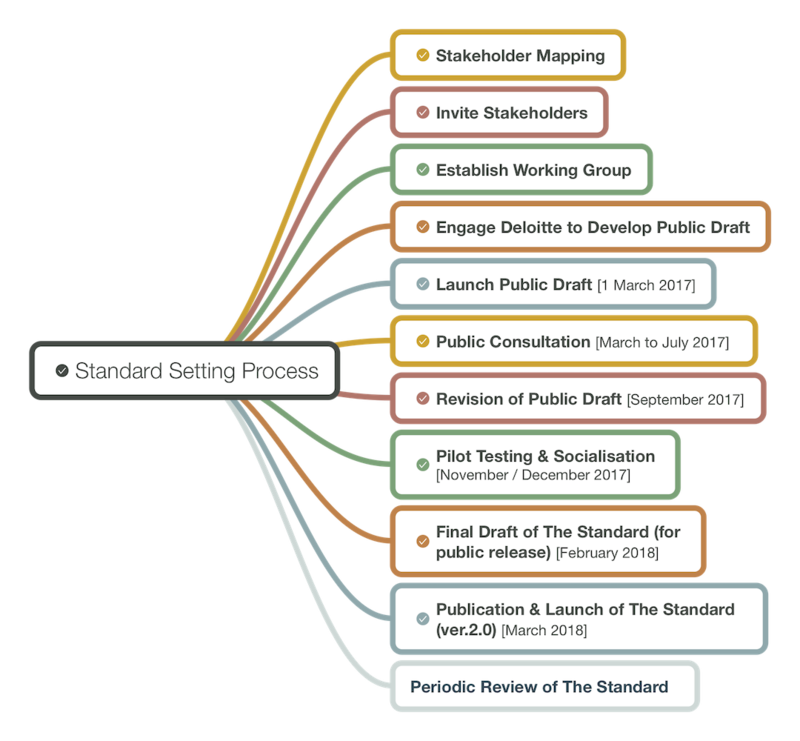 Councils can access and progress through the Standard according to their capacity and resources. We describe these levels (from lowest to highest) as Established, Advanced, Excelling, and Mentoring. The Welcoming Cities Advisory Committee provide expert feedback and advice on the development and implementation of The Standard. Sev Ozdowski is an Australian human rights advocate and social researcher, former senior civil servant and Human Rights Commissioner and Disability Discrimination Commissioner for the Australian government from 2000 to 2005. Dr Ozdowski is known for his defence of human rights of refugees, especially child asylum seekers detained in Australia and people with disabilities and mental illness as well as for his contribution to multicultural policies in Australia. He is currently the Director, Equity and Diversity, at Western Sydney University and Adjunct Professor, Centre of Peace and Conflict Studies at University of Sydney. 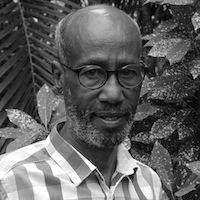 Dr Ali Nur holds a Master of Public Health degree from the University of Sydney and a Bachelor Medicine and Surgery from Somali National University. He has more than 20 years experience developing policy and programs for the Department of Health in the Northern Territory; specialising in services for Indigenous Australians, the aged, people with disabilities and people from refugee backgrounds. Ali has also worked with Oxfam’s Humanitarian emergency responses team in East Timor; the 2001 earthquake in Gujarat (India) and the 2004 tsunami in Sri Lanka. He is a member of the Refugee Council of Australia, Secretary of its Board and the Governance and Finance Committee. 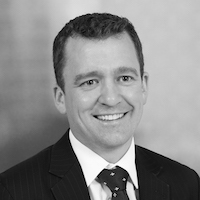 Allan is the national lead for Civil Government services and works with Government Agencies and the NFP sector deliver against their strategic intent balancing the economic, financial and customer experience. He has worked on some of the most important reforms including the Countering Violent Extremism program in NSW, the NDIS both at a state and federal level as well as a number of government business transformations. Allan is also a mentor on the High Resolves leadership program which provides high school children with the opportunity to build leadership and social connectivity across our communities. 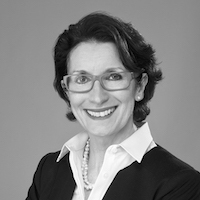 Anthea Hancocks has an extensive background in community service, business development, education, communications, relationship and services marketing and strategy through senior leadership experience in private, government and not for profit organisations. 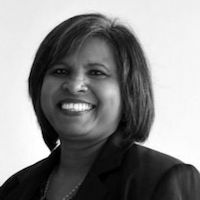 Anthea is the Chief Executive Officer of the Scanlon Foundation, a private philanthropic organisation committed to enhancing social cohesion in Australia through research, community grants and projects. Dewani is the Chair of the Settlement Council of Australia and the Chief Executive Officer of the Migrant and Refugee Settlement Services of the ACT Inc. She has been involved in the community and charitable sectors for the past 30 years in Australia and in Fiji, and has an extensive background in developing and delivering services for disadvantaged and vulnerable communities, with a strong focus on breaking down cultural and linguistic barriers to facilitate settlement and community participation. Migrating to Australia from Fiji in 1982, Dewani has a strong understanding of the migrant experience and a passion for helping migrants, refugees and humanitarian entrants to participate in their new communities and to become proud and engaged members of a diverse Australian society. Dewani was awarded the FECCA Multicultural Award and the ACT International Women’s Award for Multiculturalism in 2008. Huseyin (Huss) Mustafa is a Senior Executive at Commonwealth Bank of Australia with more than 40 years experience in the financial services sector. 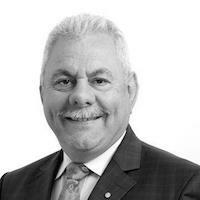 He is currently General Manager of the Multicultural Community Banking Australia team. Huss has a Turkish Cypriot heritage and migrated to Australia at 10 years of age. He is a passionate community leader, pioneering and championing a diverse work force at the Commonwealth Bank. In 2011, he was appointed by the Victorian Government to the position of Commissioner to the Victorian Multicultural Commission for a 4 year term and also appointed as Chairperson to the Victorian Multicultural Commission Regional Advisory Council in Eastern Victoria. Huss played a leading role in establishing The Australian Turkish Business Council of which he is currently the President. In 2014, he was awarded the Medal of the Order Of Australia for his services to Multiculturalism and Business. Nadine Liddy is the National Coordinator of the Multicultural Youth Advocacy Network (MYAN Australia) and has worked in the youth and multicultural sectors for over 20 years. Nadine has a background in service delivery and program management with young people from refugee and migrant backgrounds and has worked extensively in policy, advocacy and sector development in relation to multicultural youth issues. This work includes developing Australia’s first Youth Settlement Framework. She has also contributed to many research projects, publications and advisory committees to government and the NGO sector. Nadine has also worked in the international context, undertaking research and advocacy on refugee and asylum seeker issues, with a focus on promoting the rights and needs of young refugees, and supporting youth engagement in regional and global opportunities. 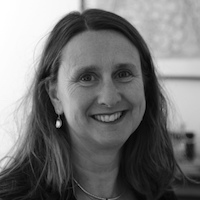 Rebecca Wickes is an Associate Professor at the School of Social Sciences at Monash University where she also leads the Population, Migration and Social Inclusion Focus Program. 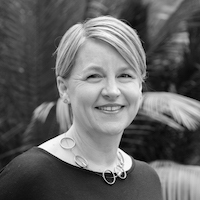 She is the Chief Investigator of the Australian Community Capacity Study (ACCS), a multi-million, multi-site, longitudinal study of 298 urban neighbourhoods in Victoria and Queensland. Her research focusses on the spatial concentration of social problems with a particular focus on how physical and demographic changes in urban communities influence social cohesion, the informal regulation of crime, crime and victimisation. 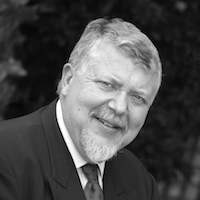 Dr Wickes has published extensively in leading criminology and sociology journals. She is the Associate Editor for the Australian New Zealand Journal of Criminology and is the Vice President for the Australian New Zealand Society of Criminology. The Welcoming Cities Standard (Public Draft v1.0) was open for consultation and feedback until 30 June 2017. Revision of the Public Draft (v1.77) was distributed to a number of member councils for piloting and further feedback. Approximately 150 submissions were received in response to various drafts of The Australian Standard for Welcoming Cities. All feedback has been considered and much of it applied in the development of version 2.0. To view and download the Feedback click the Download Feedback Tracker button. All ongoing feedback can be emailed directly to feedback@welcomingcities.org.au. The following documents and research have informed the development of The Welcoming Cities Standard. Australian Centre of Excellence for Local Government 2015, Building Social Cohesion in our Communities. Australian Government Department of Social Services 2016, National Settlement Framework. Centre for Multicultural Youth 2007, Inclusive Local Government. Cities of Migration 2017, Building Inclusive Cities. Cultural Development Network 2016, Framework for Cultural Development Planning. EUROCITIES 2014, Integrating Cities Toolkits. Intercultural Cities Australasia 2017, Australian Intercultural Standards and Index. Migration Council Australia 2015, The Economic Impact of Migration. Multicultural Youth Advocacy Network (Australia) 2016, National Youth Settlement Framework. Myriad Consultants 2014, The Role Of Local Government In Settlement And Multiculturalism. Regional Australia Institute 2016, The Missing Migrants. Scanlon Foundation 2016, Australians Today. Victorian Government 2015, Strategic Framework to Strengthen Victoria’s Social Cohesion and the Resilience of its Communities. Welcoming America 2017, The Welcoming Standard and Certified Welcoming. Below are some frequently asked questions (and answers) relating to The Welcoming Cities Standard and the broader Welcoming Cities network. These will update and be added to over time. Please contact us if you have any further questions. Is application of The Standard a requirement of participating in the Welcoming Cities network? Standard & Accreditation is a key element of the network, however a local council or community stakeholder can commit to the network without engaging The Standard. Is Welcoming Cities only for "Cities" or Councils? Welcoming Cities is for all local councils in Australia. This includes areas, cities, towns, municipalities, regions, shires and districts. Additionally, organisations and businesses can join the Welcoming Cities network as supporters. Go to Get Involved for more information. How do we join the Welcoming Cities network? A local council can become a member of the Welcoming Cities network. A community stakeholder (community organisation, business, other agency) can become a supporter of the Welcoming Cities network by completing a one-page commitment form. Both members and supporters can access the key elements of the network. How does a Council become a "Welcoming City"? 1. Consider Welcome: Meeting (via teleconference or in-person) to discuss the Welcoming Cities network and for us to further understand the Council’s current successes and approaches to welcoming efforts. 2. Commit to Welcome: Formal commitment from the Council to participate in the Welcoming Cities network. 3. Communicate Welcome: Profiling the Council on our website and in various case studies. 4. Plan for Welcome: Communication, planning and work with the Council around the Welcoming Cities framework and toolkit to develop a Welcoming Plan or align it to existing plans that you may have. Welcoming Plans (or similar) can include policies and practices that advance cohesion under the 7 categories of The Australian Standard for Welcoming Cities. 5. Build Welcome: Council’s can consider and benchmark their policies and practices against The Australian Standard for Welcoming Cities. 6. Sustain Welcome: If desired, Council’s can audit and accredit their policies and practices against The Welcoming Cities Standard. All feedback can be emailed directly to feedback@welcomingcities.org.au. What happens with the feedback? All feedback that we receive is collated, carefully considered and tracked, including our application of the feedback and rationale. Much of the feedback we receive will be incorporated into the final Standard, however some feedback may be conflicting and/or go against the advice of peak bodies and/or Local Government Associations. Are you promoting multiculturalism over interculturalism and what's the difference? Australia has a unique approach to multiculturalism and settlement, and demonstrated success in building social cohesion. Regardless, we are not promoting specific terminologies or methodologies. Instead we recognise that almost everyone, regardless of how long they have been in Australia, wants to live, work and play in a welcoming and inclusive community. Are you advocating that Councils take on the role and responsibilities of settlement providers? No. We recognise the crucial role played by settlement service providers in the settlement process. We see this framework as a way of enhancing the cooperation between Councils and settlement providers, as well as other stakeholders, wherever that is possible. We are in the process of applying the National Settlement Framework to the Standard and this will be evident in the final version. The National Settlement Framework is a high level structural blueprint for Commonwealth, State and Territory, and Local Government, to work in partnership to effectively plan and deliver services that support the settlement of migrants and new arrivals in Australia. The Framework sets out focus areas for the three tiers of government to regularly engage and work together in partnership on, and to collaborate with stakeholders. Governments and stakeholders are guided by the structures and initiatives in this Framework to make planning decisions on the provision of settlement and support services and to deliver coordinated, client-centric services, informed by research and evaluation. The National Settlement Framework was developed by the Federal government in consultation with all State and Territory Governments; and the ALGA (Australian Local Government Association).